VICTORIA – Additional grant funding is now available to help British Columbians living in rural, remote and Indigenous communities gain affordable access to high-speed internet. Local governments and First Nations have identified the high cost of infrastructure as one of the main barriers to expanding internet services in smaller communities around British Columbia. Improved internet service means more people can access high-quality education, good-paying jobs, business opportunities, health care and emergency services. As of Sept. 1, 2018, on behalf of the provincial government, Northern Development Initiative Trust (NDIT) is accepting applications for Connecting British Columbia program funding for transport infrastructure projects which will deliver connectivity to entire regions. Transport infrastructure moves data long distances between small towns to where it can be offloaded to the internet. This infrastructure is necessary for communities to complete last-mile connections to homes and businesses. NDIT is also accepting applications for projects connecting homes and businesses directly. Both transport infrastructure and last-mile project types are eligible to receive a portion of the $16-million funding. Successful applicants could receive up to a 50% contribution for project costs. 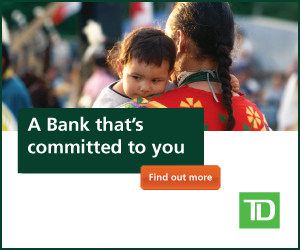 Eligible applicants include internet-service providers, local governments, First Nations and non-profit organizations. A third funding stream is also available to help local governments create connectivity strategies for their region. This funding is part of a $40-million provincial government commitment to expand the Connecting British Columbia program administered by NDIT. An additional $83 million in funding from federal, provincial and local partners has been announced since January 2018, which will benefit an estimated 187 communities — including 69 Indigenous communities.